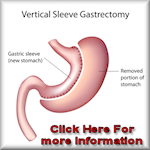 Gastric band surgery is possibly mainly the most acceptable mode of weight loss surgery completed in the western World. 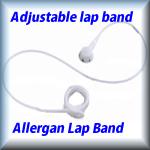 We offer probably the best priced adjustable gastric band cost available in Europe and a fast recovery time following surgery. 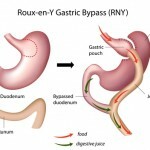 Gastric Bypass (Roux-en-Y procedure) This is the most common gastric bypass procedure performed today. Your surgeon cuts across the top of your stomach, sealing it off from the rest of your stomach, creating a small pouch that can hold only about an ounce of food. Next, your surgeon attaches part of the small intestine directly to the pouch. As a result, food goes into the small stomach pouch then into the part of the small intestine that’s attached to it – bypassing most of your stomach and the first section of your small intestine (entering directly into the middle part of your small intestine). This procedure reduces the amount of food you can eat at one time, and it reduces the absorption of nutrients.